No, Bull! 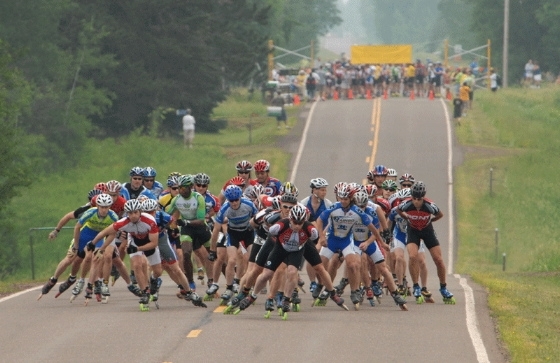 - The pro and advanced men charge up the first hill at the start of the race. Behind them, the women, rec and half-marathon skaters wait for their start. The race was delayed a few minutes while a farmer persuaded his errant bull to get out of the road.